Yamabushi or 'Monks living reclusively in the mountains' are members of a Boudhist sect from the 10th century. Their philosophy dates from around 700. They didn't worship just one God, but the uncountable higher spirits of Shinto or Kami. Every tree, every rock or river, even a dead person can become Kami. Not the object itself, but its spirit is worshipped. All Japanese are Shinto; although they can also tend towards other religions. Shinto is a simple and honest religion which is respectful of nature. Life itself is honoured in all its manifestations. All Japanese Martial Arts rely heavily on this Kami-philosophy. Some Yamabushi practised martial arts to strenghten their mind and body. Folkloristic imagination attributed magical powers, like the ability to fly, to these men. This superstition is probably the basis for the Tengu-legende in Japanese folklore. 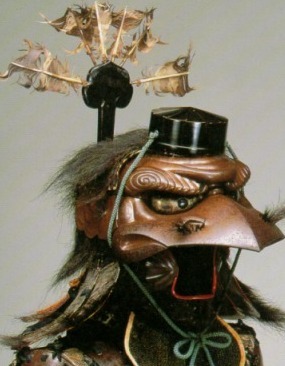 Tengu are mythological beings capable of shapeshifting into birds. Some creatures have wings (Ko-tengu or 'small' tengu), others look like crows (Karasu-tengu), some have long noses (Konsha-tengu). 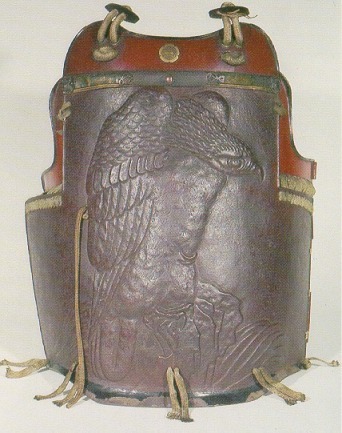 The chief Tengu or Sojobo has an emblem with a seven feathers. They were unequalled masters in the martial arts. 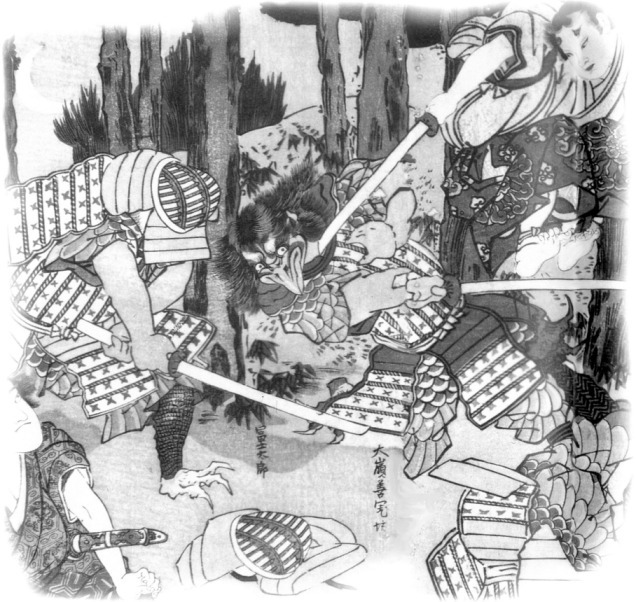 Legend has it that they trained Minamoto no Yoshitsune (1159-1189) in the art of swordfighting. He is known as the most famous and heroic man in Japan, the prototype for all Samurai. In 1872 the Tengu-philosophy was officially suppressed. Until now all attempts to revive their ideas have failed completely.